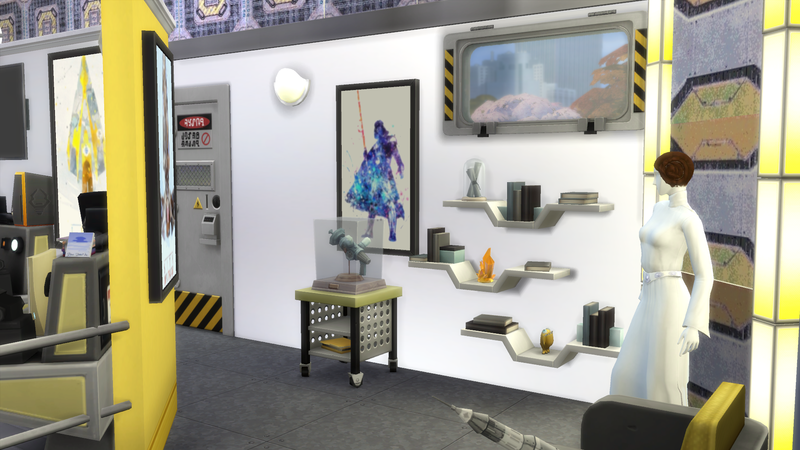 By the way I used Yellow as a Get Famous Futuristic outfit has yellow in it and helmet. 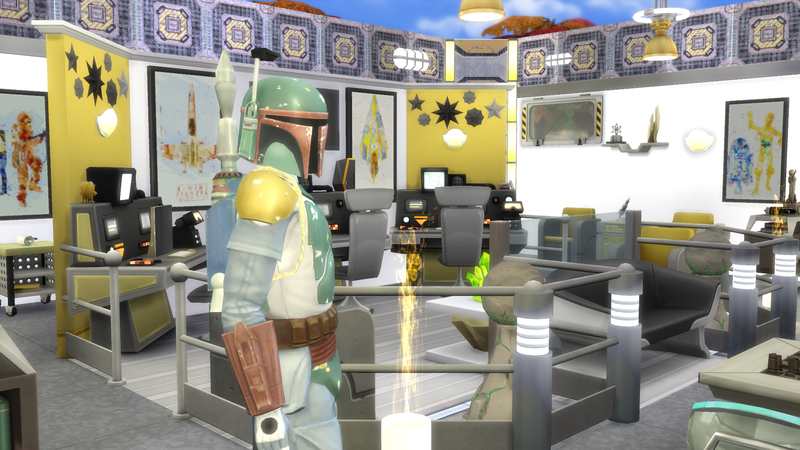 The science fiction /Star Wars theme of the library room looks great ! @luckyheather :)The patterned metal panels on the walls and corners of the room and the Stars Wars artwork give a great look to the room! 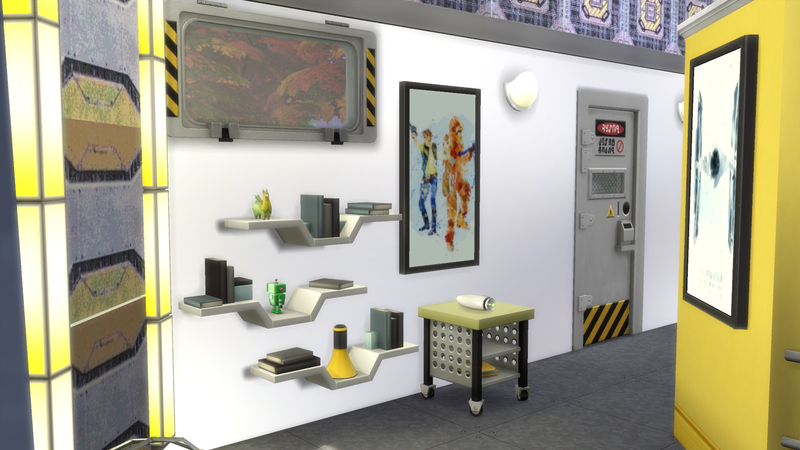 Very nice colour scheme to suit the science fiction theme and the yellow to reflect the colour of a Get Famous outfit. 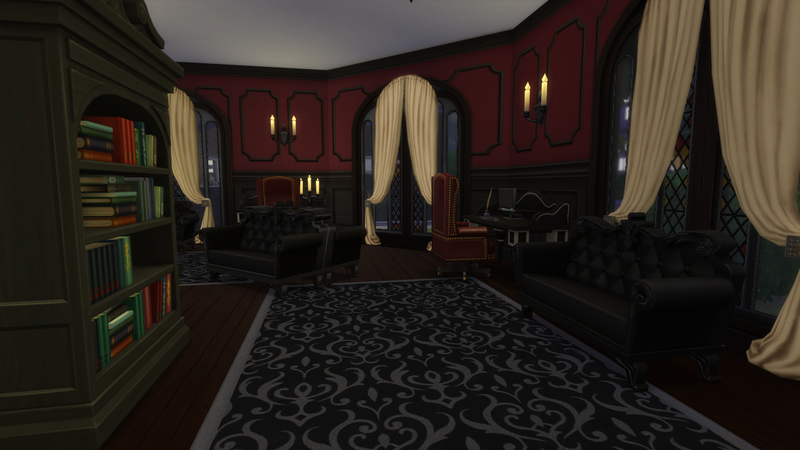 Very nice themed furnishing of the room! 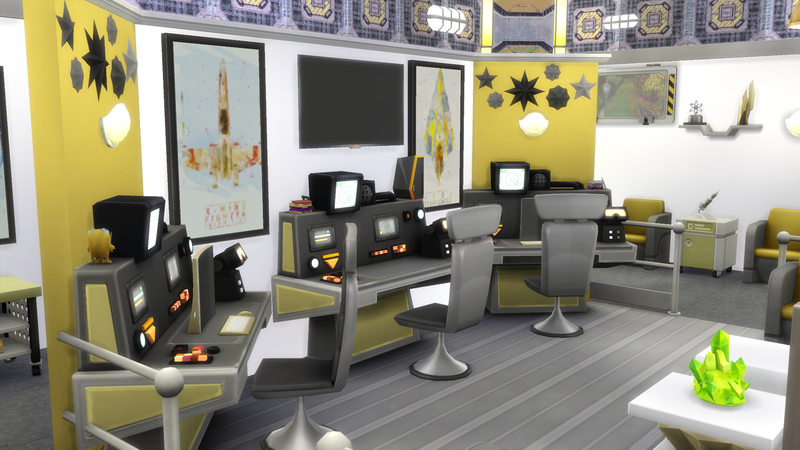 It looks great the way the yellow coloured walls have stars on them and are angled to create bookshelves nooks. 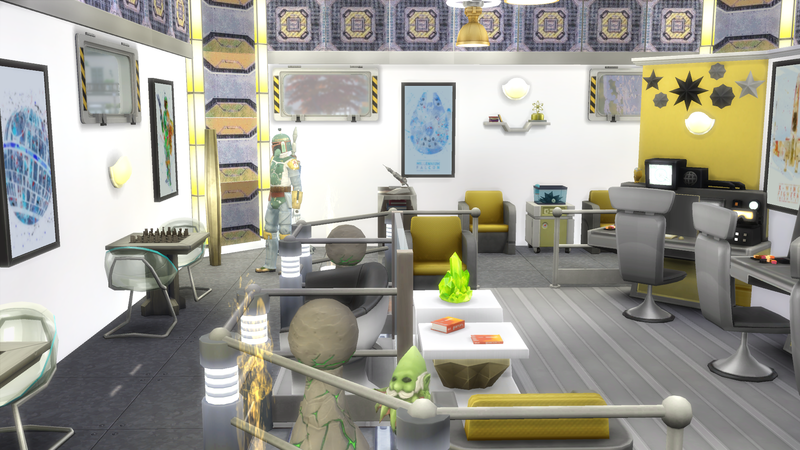 The science fiction themed computer desks are great for Sims to enjoy sitting at the desks using the computers. 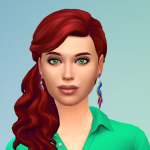 Sims will also enjoy watching science programs or Star Wars movies on the tv, or have fun playing console games. The Stars Wars characters mannequins look great clothed to reflect the room theme! The science awards are a nice touch on the wall shelf. 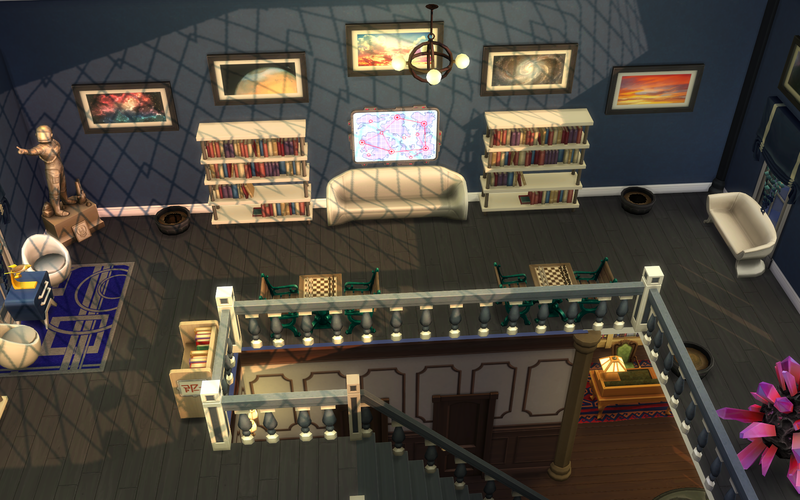 Very nice yellow armchairs sitting areas along the wall and in the middle section of the room for Sims to enjoy sitting there reading books. The rocket on the table between the armchairs, and the very reduced in size astronaut statue on the bookcase table look great! Sims will enjoy playing chess on the table in the room. The bookshelves look nice how they are placed on the walls, and have other items placed on the shelves also. The danger sign door is a great touch in the room. @rosemow Thank you very much for your lovely description of my room, and I could not agree with you more about MrsHosni's room. @MrsHosni Please upload your room. I am sure it will be as awesome as your other rooms, and I would love to see how you designed a kids' area. And thank you so much for your kind comment on my room. Notes: A library for those that are studying, dabbling in, or just enjoy all things Fashion. Features a fully lit runway, computers for designing and areas to sit together. The design and furnishing of Fit for Fashion Library is very nice! 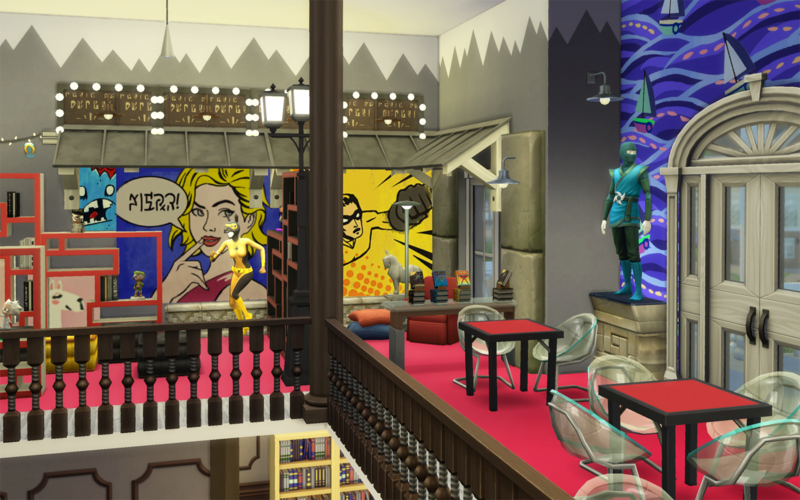 It is a very nice fashion themed room! 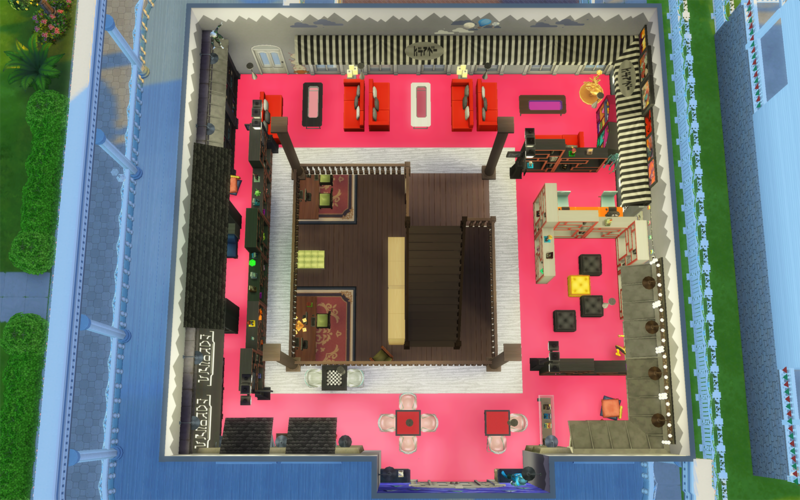 The red carpet fashion runway down the middle of the room is such a great creative idea and looks very nice! The manequins look great on the runway! 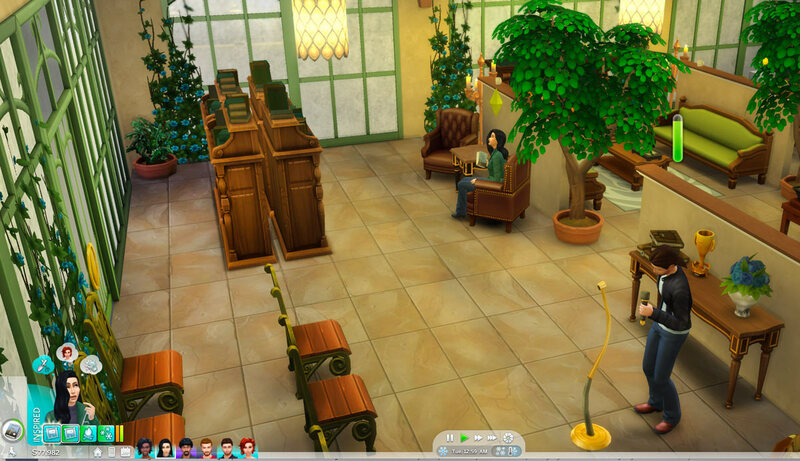 It is nice that there are red chairs either sides for Sims to enjoy sitting there watching the fashion parade. The ceiling spotlights are a very nice touch. The golden patterned walls look very fashionable and very stylishly nice. Very nice computer desk tables area in the side sections of the room for Sims to enjoy doing fashion research and designing on the computers. The different colours of the desks are a nice touch. The golden patterned floor rugs look nice under the desks. The different coloured fashion sculpture statues are nice touches on the tables through the room. It looks very nice the way bookcases are placed either sides of the blue tables.The lights edged mirrors look very elegant in the room. Very nice red sofa and blue armchair areas where Sims can relax and read fashion books. The flowers are pretty touches on the yellow tables. The glitter on the flooring in areas of the room looks pretty! @rosemow , I really hope I post this right. I've never done this before. Please let me know if I need to fix something. Thanks! Features of the Room: This library theme room offers opportunity to build and enjoy gardening skills. It features a library of bookshelves stocked with gardening books, plants and trees to study and care for, seating and a fireplace to curl up with your book, a microphone and seating for teaching & lectures, bonsai plants to build skill and have fun, two flower arranging tables, and a small café and tables to grab a cup of coffee or snack. It will work best with a glass roof &/or at least one wall of the windows preserved upon install, but the room lights will suffice if needed. I'm a bit obsessed with the new gardening changes since Seasons EP, and have several households that are all about the gardening! So... I was excited to make a 'Gardening Conservatory' room, and see what my sims thought of it. 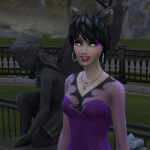 I used my 'tester' household, and several have interest in gardening - but not all of them. Only one works as a (beginner) gardener. 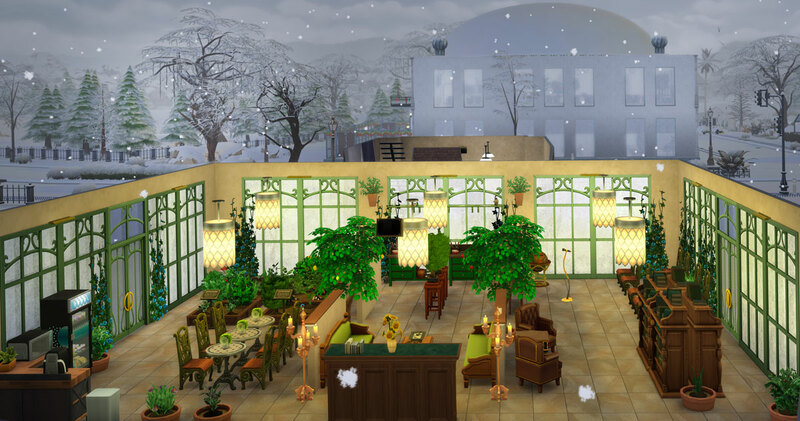 When I tested this room with my sim household it was the middle of winter and in a separate building, yet they were continually going back to the conservatory! They loved it! I had to ‘re-grow’ the bonsai bushes so many times I didn’t realize until after saving it that two were still shaped! Left them as a tribute to my testers. Anyway, here are a few screenshots of a couple of stragglers at the tale end of the test. Hello @SheriGR Welcome to the room challenge thread! It is very great that you have joined us and have created a room for this week's challenge ! Thankyou so very much! Your garden conservatory library room looks very special and very nice! 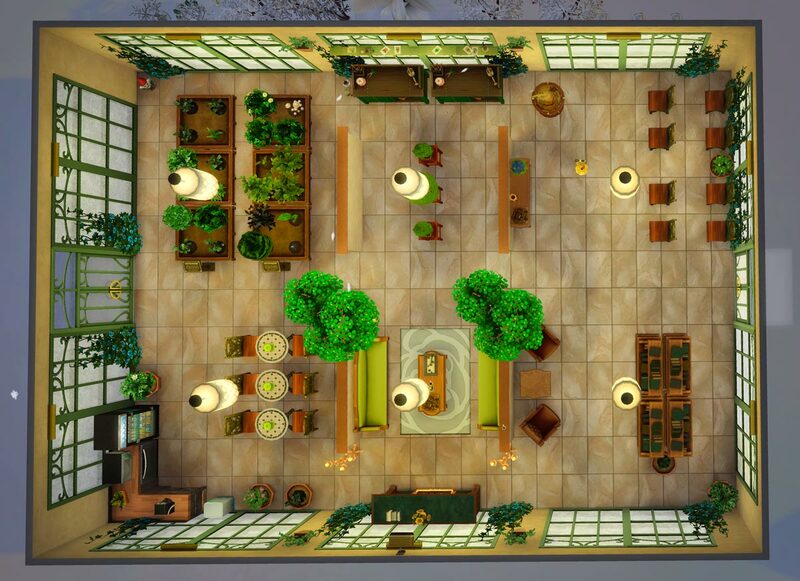 The design and layout of Gardener Conservatory is very nice! 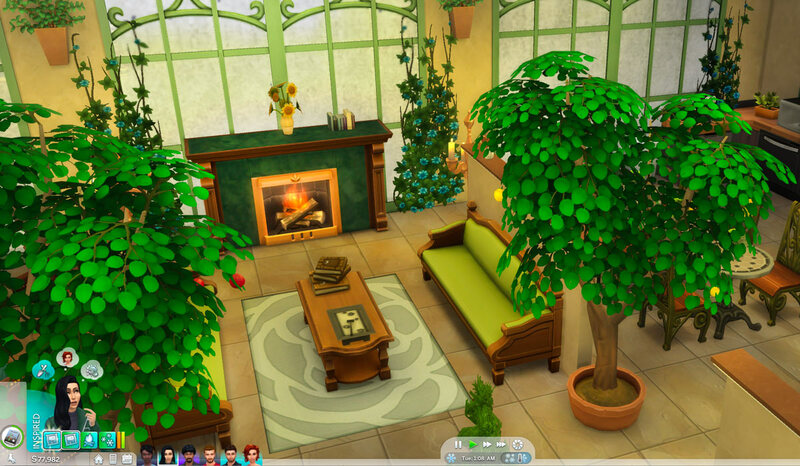 @SheriGR It is a very nice gardening themed library room! 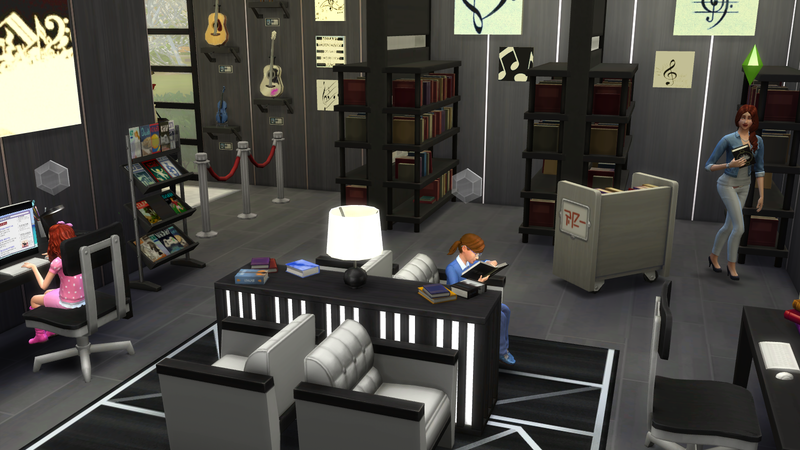 It is a very nice natural room for Sims to enjoy spending time in whilst at the library. The green patterned windows give a very nice look to the room. Sims will enjoy the sunlight coming in to the room through the windows. 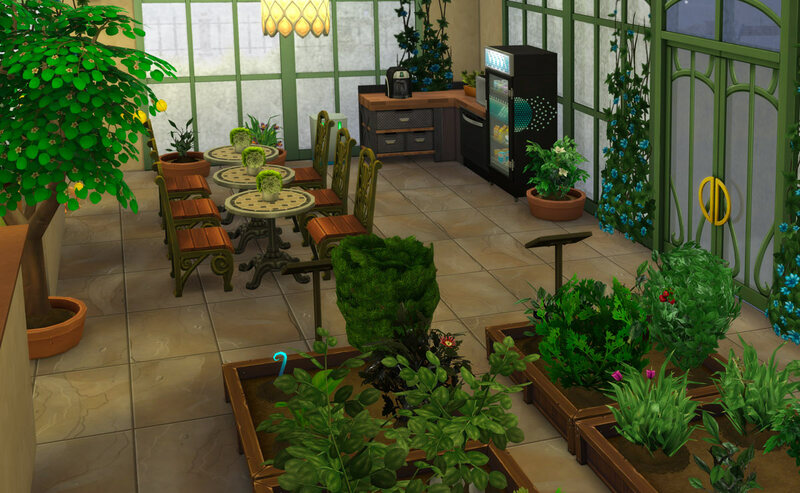 Very nice area in the room for Sims to enjoy growing and harvesting plants in the gardening boxes. Very nice cafe area in the room! The type of dining tables and chairs used there and the green flowers on top of the tables look very nice. 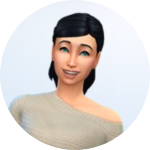 Sims will enjoy sitting at the table having a cup of coffee and a snack from the fridge or microwave, and discussing books that they have read. Very nice gardening lectures nook in the room! 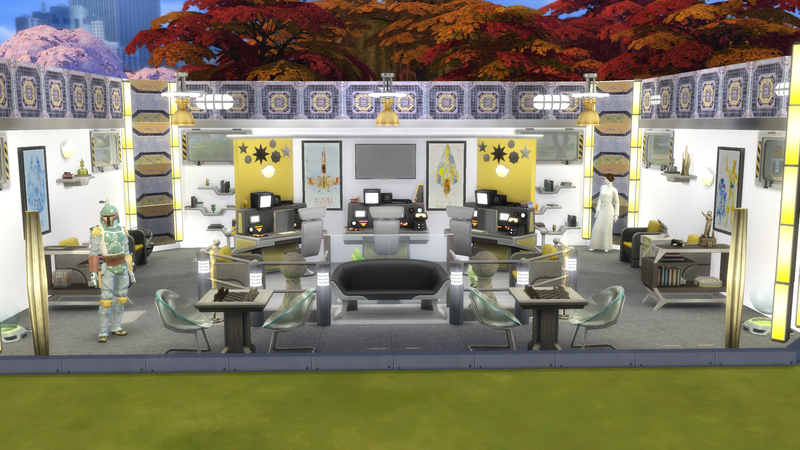 It looks very nice the way the chairs have been set up there, for Sims to enjoy sitting there listening to the Gardening lecturer talking into the microphone. 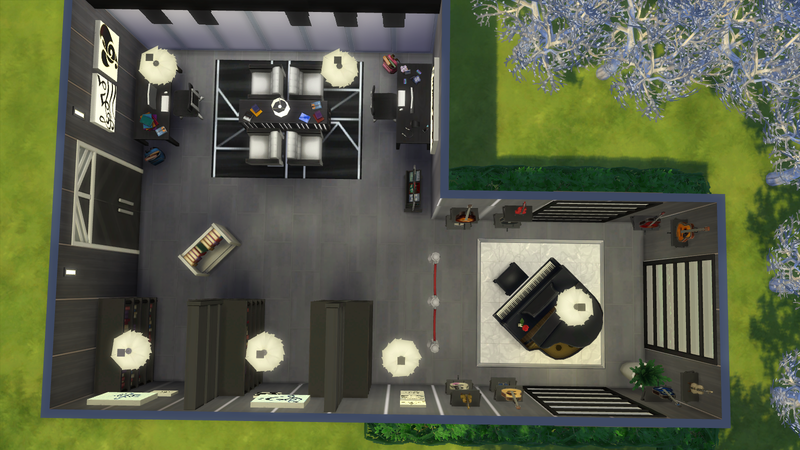 Sims will enjoy creating flower arrangements on the arrangement tables. Very nice nook area for sims to enjoy doing bonsai sculpting. The green sofa seats fireplace sitting nook in the middle area of the room and the comfortable armchairs nook area are very nice for Sims to enjoy resting there reading gardening books from the bookshelves . The fire will keep Sims warm as they are sitting on the sofas. The sunflowers are a sunny touch on the fireplace ledge. 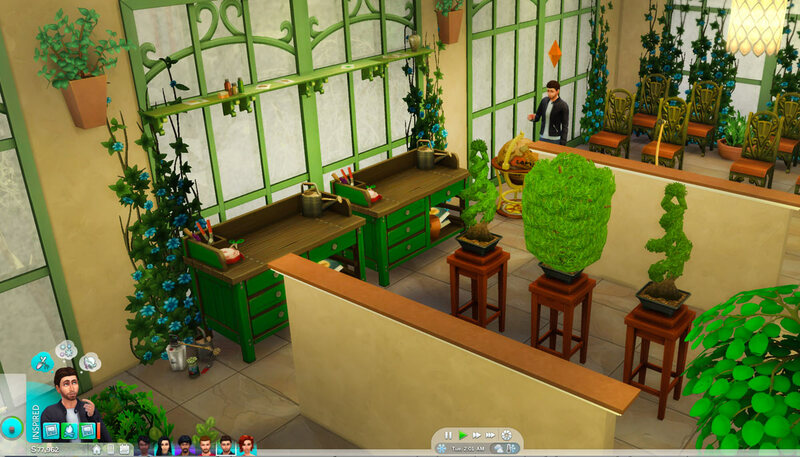 The plants look nice on the wall areas, and the floral greenery on the windows looks very pretty! 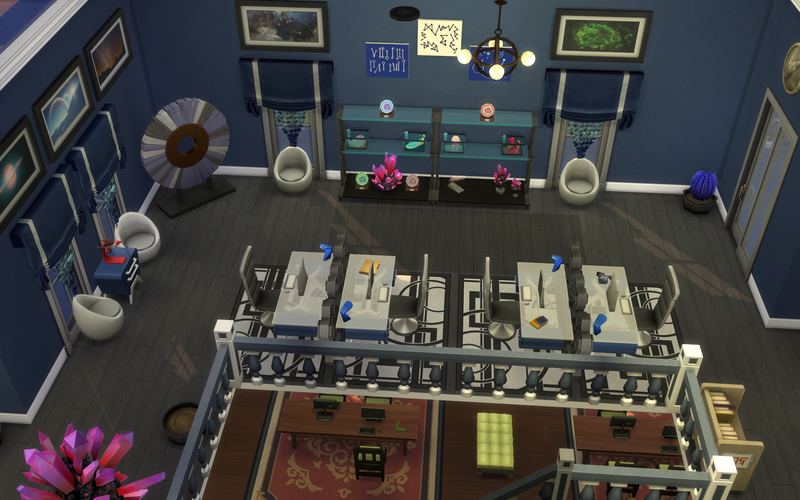 Sims will enjoy having a drink from the globe bar. @rosemow I think you are just about the kindest, most sensitive moderator around! You are always so wonderful about noticing all of the little things when you respond to a post, and you have a gift of making everyone feel special and heard. Thank you for all that you do, for your lovely demeanor, and for your kind words. You made my day!. 'Rose' is such a fitting name for you. Thankyou very much for your very kind and special words! @SheriGR I am not a moderator though. I am just a simmer. Thank you @rosemow I had a lot of fun trying to get the look I wanted I am pleased you like it. Thank you for your thoughtful comments @rosemow I love the way you describe the rooms and the care and attention you pay to every entry. It's what made me want to make a room for your challenge! 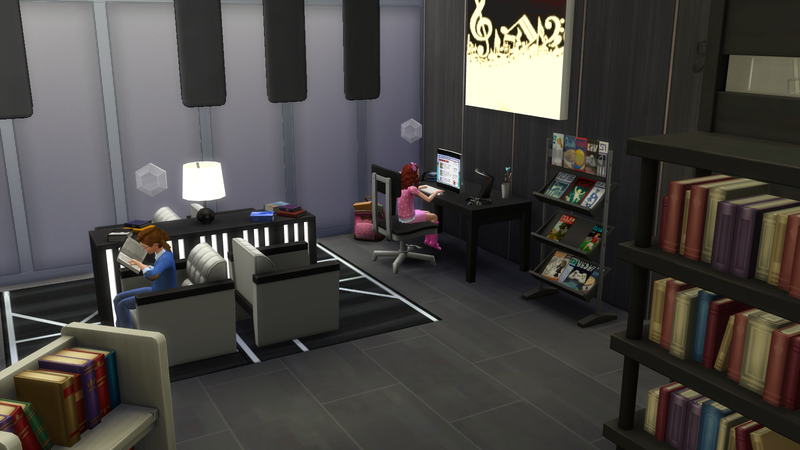 Description : I chose to make the room in Willow Creek library music themed. I stretched myself this week by learning how to create my own paintings for this room, as I couldn't find any I wanted to use. 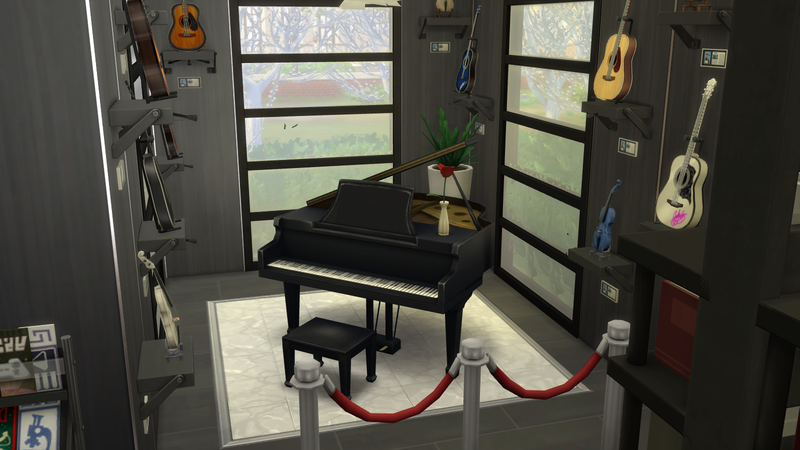 Ebony and Ivory is a very nice music themed room for the Library! @AlJay Very nice furnishing and design of the room! The black and white musical colour scheme looks very nice. The keyboard feature wall looks creatively great! The music artwork that you have created looks very great! The music pictures add a great look to the room! Very nice computer study desk areas for Sims to enjoy sitting at the desk tables using the computers to do music research. The books and pencils are great study touches on the desks. 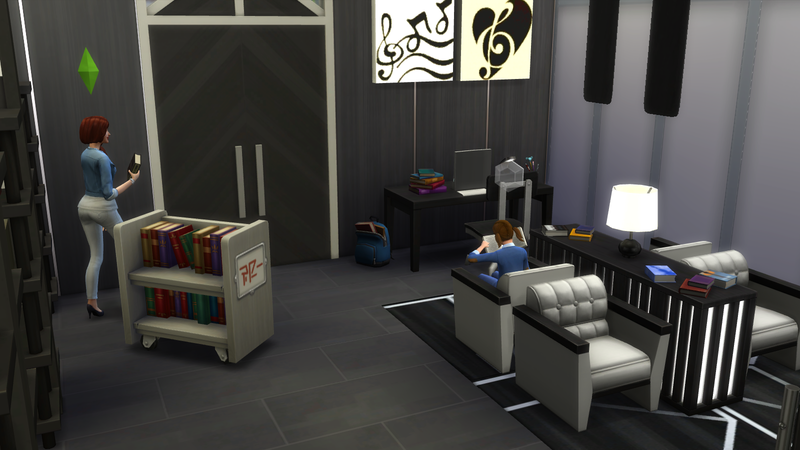 Very nice armchairs sitting and reading area in the middle of the room, for Sims to enjoy resting there reading a book. It looks very nice how the armchairs have been placed back to back and either sides of the table. The History of Music display has been designed very well! The grand piano, the violins and guitars on display on the wall shelves, and the red rope separating the display off looks very nice! It looks very nice how the bookcases have been placed in the room. The magazine rack is a great touch in the room. 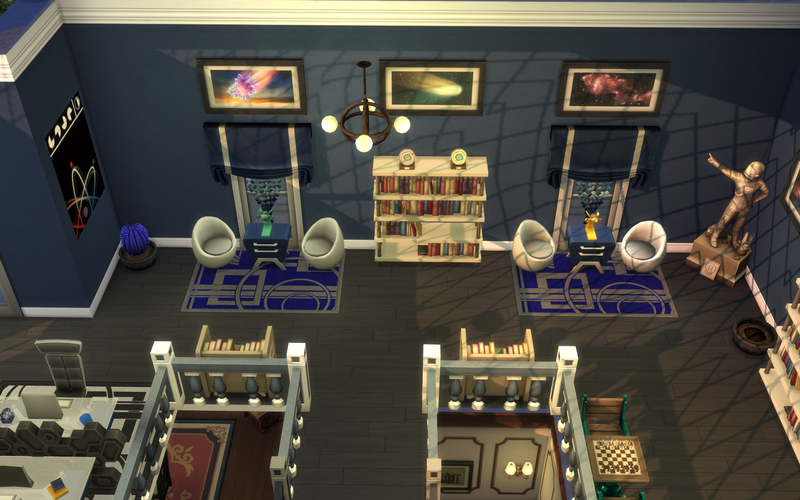 The music themed furnishing of the room is very nice! Thankyou very much for entering this week’s challenge ! 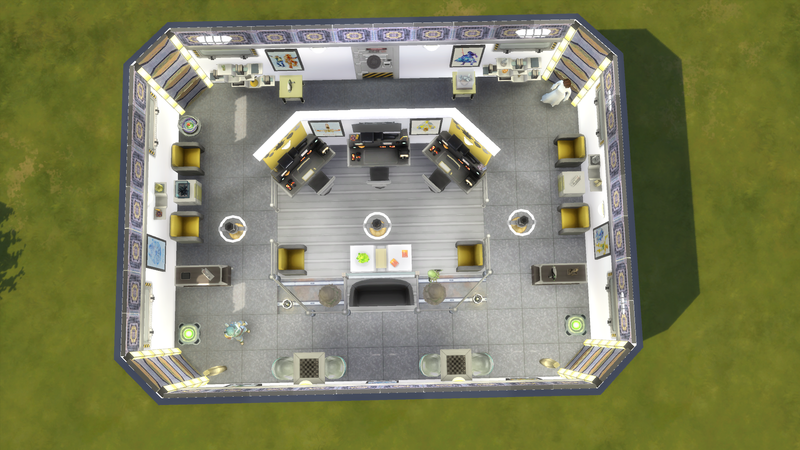 I used the Willow Creek Archive library as a shell for this room, so this is the second floor renovated into a space observatory. 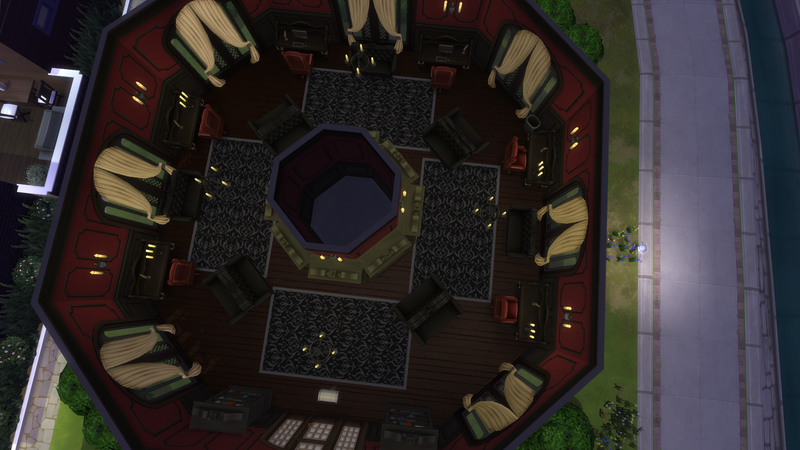 I replaced the roof with the clear dome so the Sims could study the constellations at night while in the library. 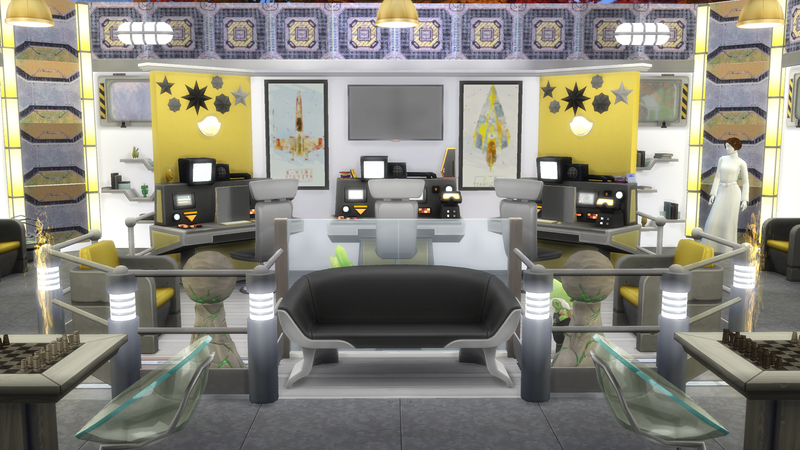 It is perfect for your alien Sims, or rocket scientists to study and explore all things space related. "Video games foster the mindset that allows creativity to grow" -Nolan Bushnell So game on. 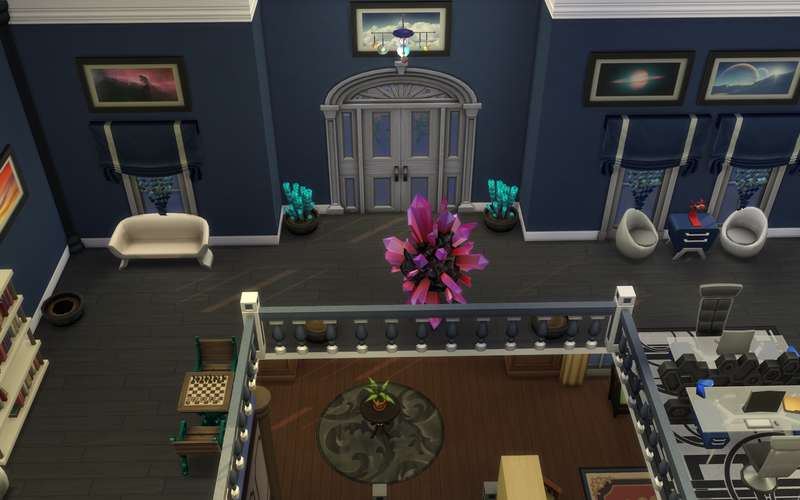 Gallery Name: Gothic Library. This section of the library is where all the horror books are kept! Hello @flobobunny Welcome to the room challenge thread! It is so very nice and special that you have joined us and have created a room for this week's challenge ! Thankyou so very much! I hope that you will enjoy entering future room challenges also! 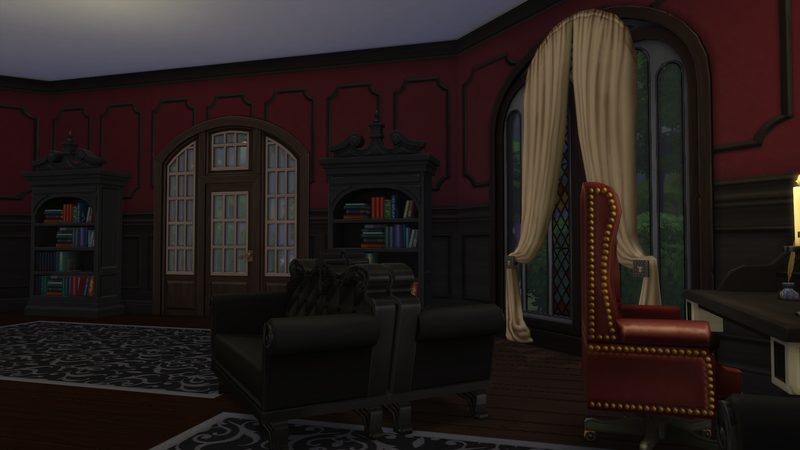 Gothic Library is a great gothic horror themed room for the library! The red and brown/black colour scheme of the room looks great! Very nice wall panelling that gives a great feel and look to the room! The white curtains complement well with the colour scheme, and the patterned windows suit well the theme of the room. Very nice study desk areas in the room for Sims to enjoy sitting on the leather chairs using the computers. The candlelight lighting in the midst of the darkness is great in the room ! It looks great the way that the black sofas are placed back to back in the corner nooks. 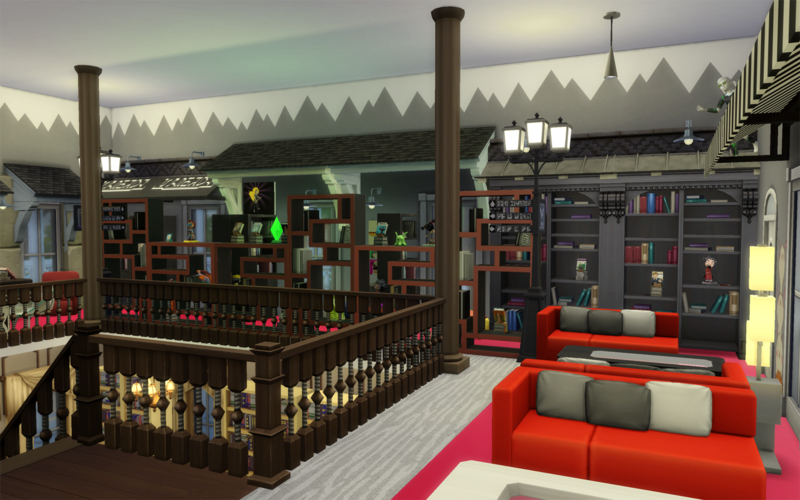 Sims will enjoy sitting there reading horror books, but may get quite scared whilst reading them! The patterned black floor rugs look very nice in the room. The shape of the room looks very great! It is a great creative touch that bookcases have been placed around the edges of the middle section on the room! The layout and furnishing of the room is very nice! Thankyou very much again for entering this week’s challenge! Heroes in The City is a very nice comics and superheroes themed library room! 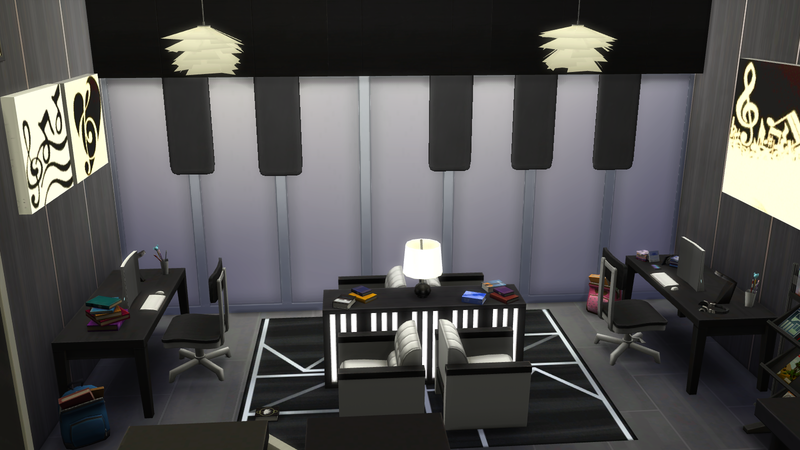 @kilra0 The design, layout and furnishing of the room looks so very great! It looks very nice how the awnings have been used in the room! The pictures and posters on the walls give a very great look to the room! 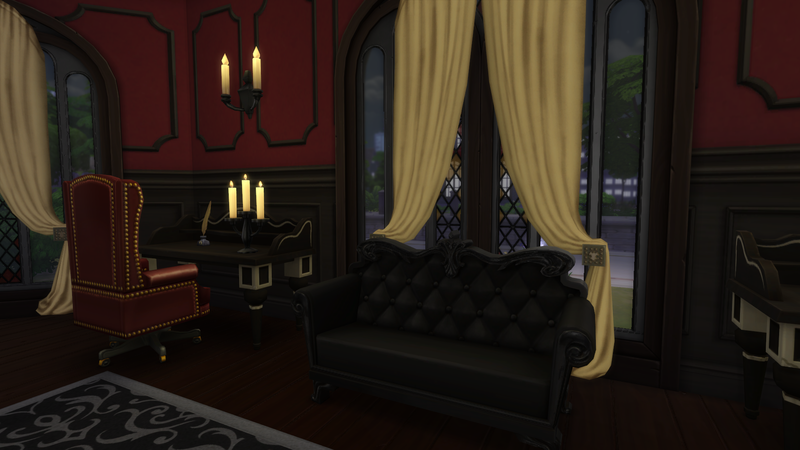 Very nice red sofa seats sitting area for Sims to enjoy relaxing and reading a book. The red colour of the flooring gives a great look to the room. It looks very nice hoe the bookcases have been placed in the room. It is great that there is a children’s nook in the room. Kids will enjoy sitting on the black and yellow stools reading comics. 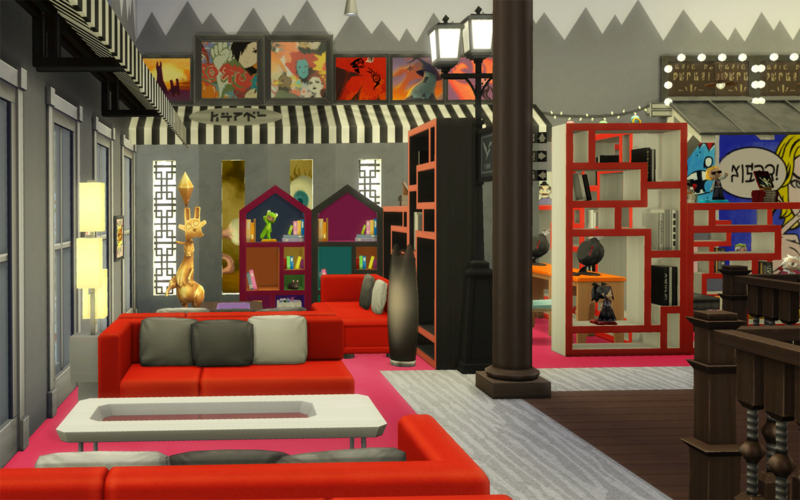 The MySim collectible,is a great touch on the bookcase, and the frreezer bunny statue looks great in the room.Very nice games nook area for sims to have fun play card table tables. The superhero on the awning looks great !